eliminate pollution in the lakes. environmental effect on the Great Lakes. and lives shortened by cancer, respiratory failure, and neurological disorders. reproduction patterns often serve as a signal of an environmental imbalance. little power to enforce those orders, officials say it’s a step in the right direction. 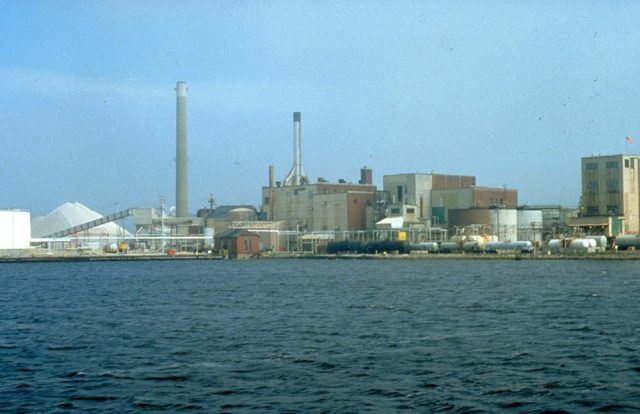 World War II, Chemical Valley has changed the character of the Saint Clair River. drinking water, but they have no control over the polluters on the other side of the border. spills into the Saint Clair River peaked in the 1980s, when there were roughly 100 spills a year. He says now that’s down to five to 10 spills a year. from the Saint Clair River. Cobb says Chemical Valley will try to do better. For the GLRC, this is Rick Pluta. Next PostNext Ten Threats: Break in the Food Chain?